Despite being a foodie, I always have advocated the benefits of eating home cooked meals rather than eating out, especially because they are complete meals in terms of nutrition and quantum. During my office days, whether before or after marriage, I would carry my lunch box from home but would land up eating cold food for lunch. Not because my office did not have a microwave, but because I do not like to use a microwave regularly as radiation can be harmful to one's health. I detested the cold food, but the health benefits kept me going. After marriage I made sure PS too would take home cooked food for lunch at work and not hog on junk everyday. However he is very particular about eating hot food and being an auditor, he didn't always get to heat his food at different client offices. So eventually he stopped taking lunch from home because he was not comfortable eating cold food as it would take away the taste that he could have relished if it was hot. Being a part of the technology driven generation, I am so happy to have now found a solution to that problem for him. 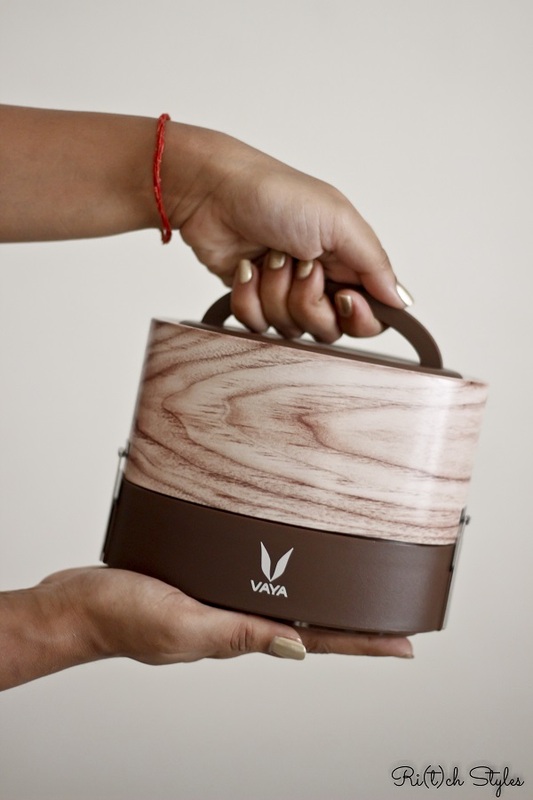 The answer to my prayers comes in the form of this new age lunch box called the Vaya Tyffyn which has the technology to keep your meal warm for 5-6 hours. 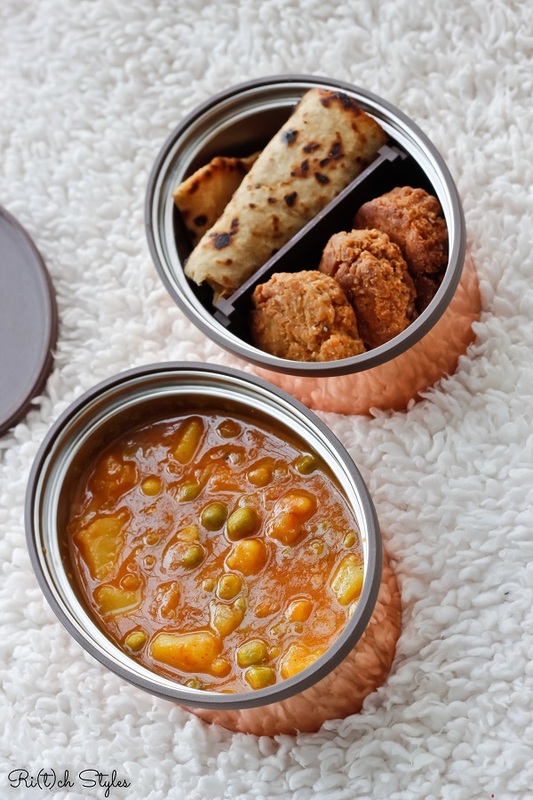 PS has once again started taking home cooked food, which he now enjoys hot for lunch. 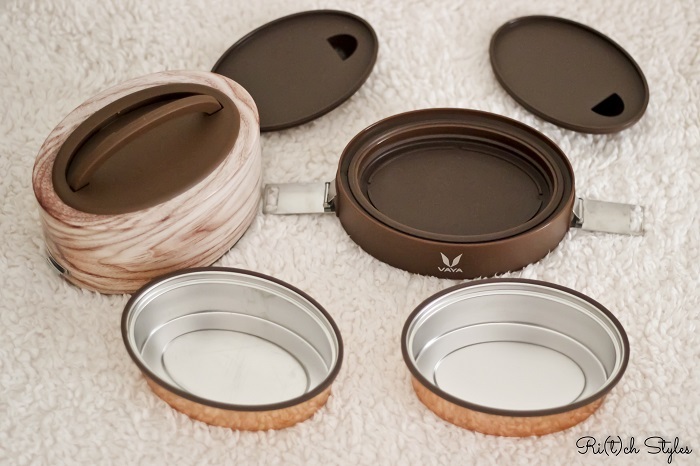 What I bought for him is the Vaya Tyffyn in the 600ml size, which has two containers and two partitions for each container. 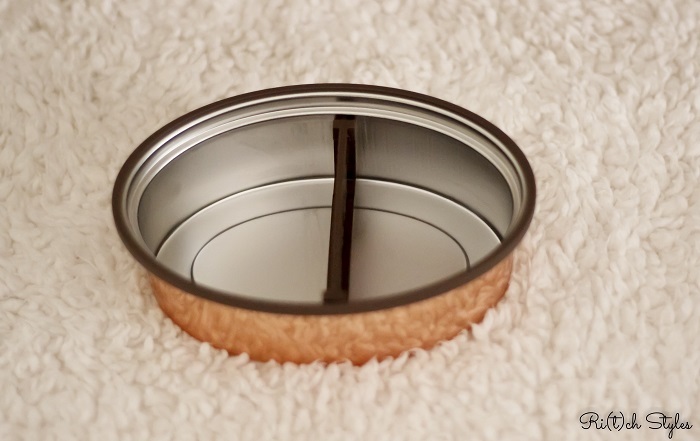 The partitions can be easily put and removed depending on how many items you plan to pack for lunch. 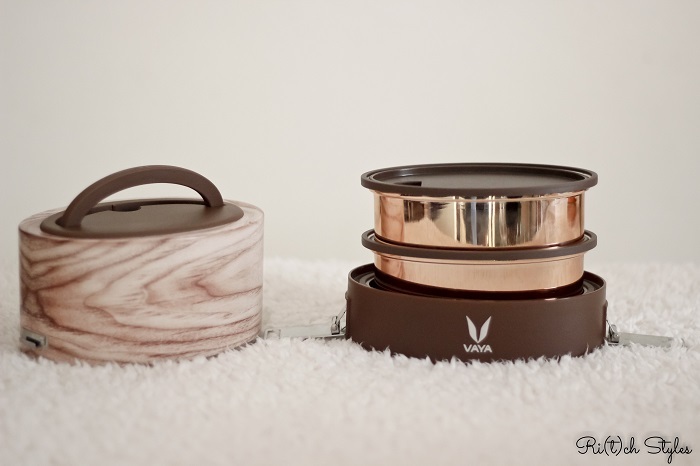 The covering body covers the containers and keeps everything in place thanks to simple stainless steel latches on both sides. 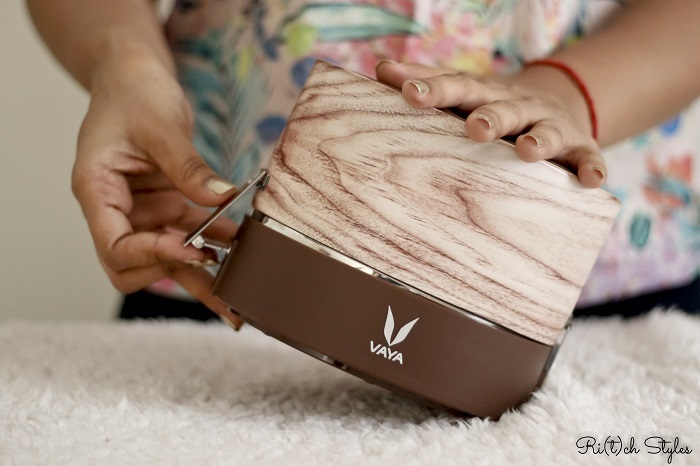 I love the Maple variant which has a wooden finish making it look very stylish and classy. 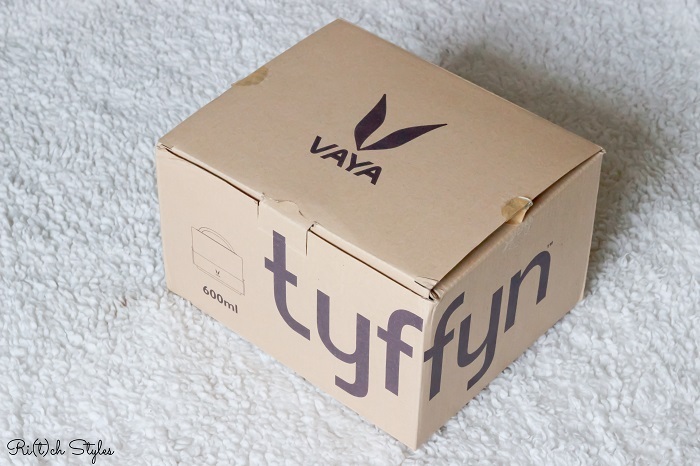 The Tyffyn is extremely easy to carry around as it comes with a handle on top. 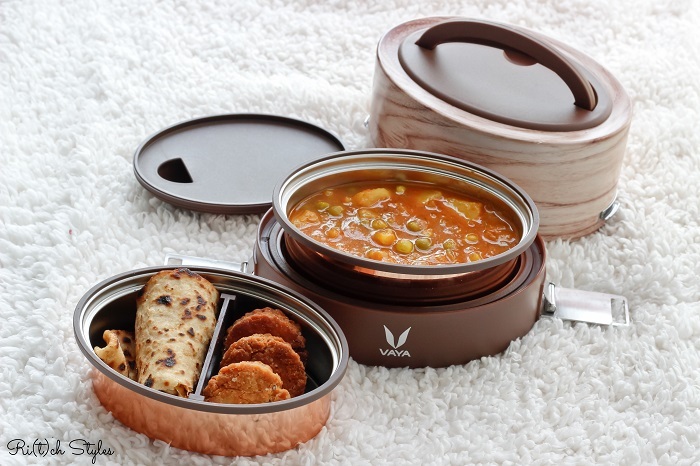 The covering body works on the VacuTherm Insulating Technology, wherein it is made up of a double walled high vacuum insulated stainless steel shell, that traps heat as it rises and thus doesn't let it escape out of the lunch box. 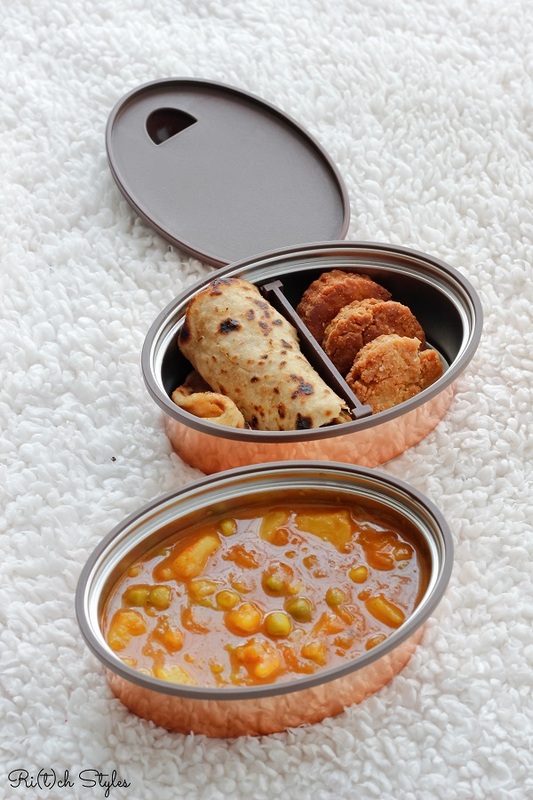 This helps the copper coated containers to keep the food hot until the tiffin is opened. 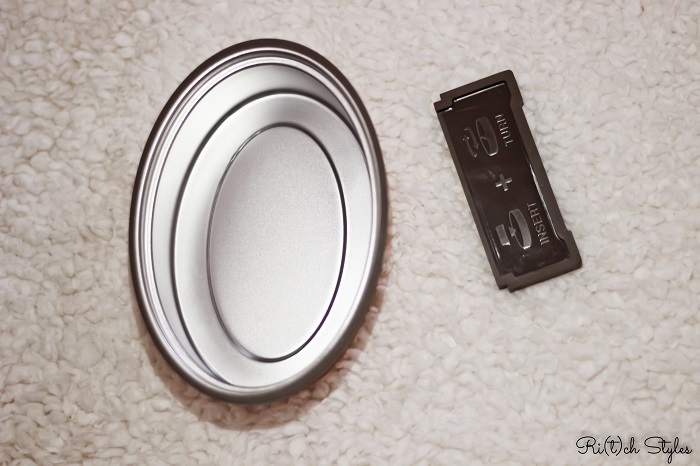 The container lids are leak resistant and come with a finger grip that helps you to open the container without any struggle. So many components, but when it shuts, I love how the whole thing is so compact. 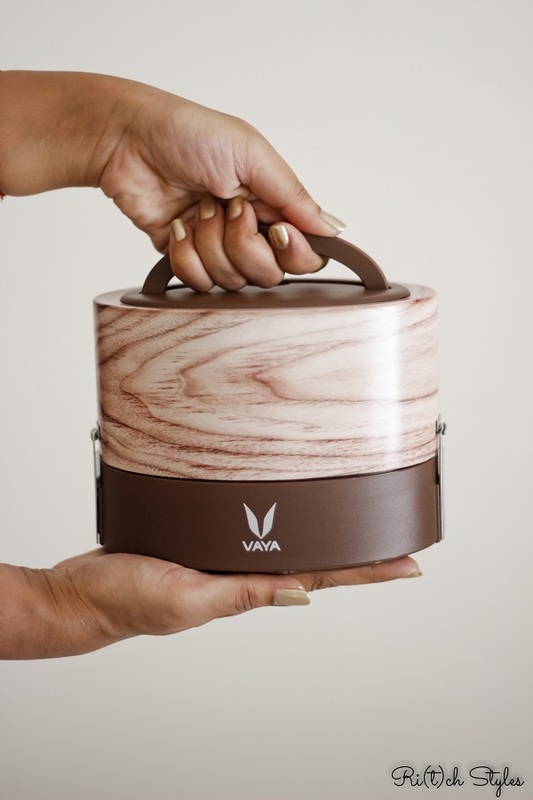 Vaya recommends to place the container with food that you want to warmest on the top, and do not mix hot and cold food in the same box. 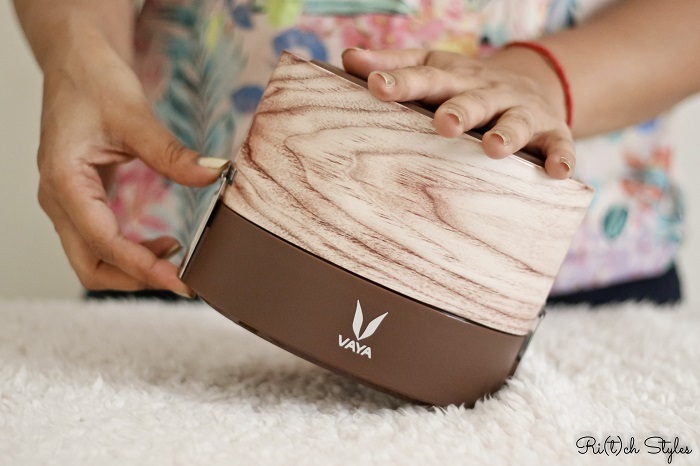 The Vaya Tyffyn comes in different sizes and variants, and you too can get your hands on it here - https://vaya.in/product/tyffyn600/#order. It comes with a one year warranty which no one else provides. 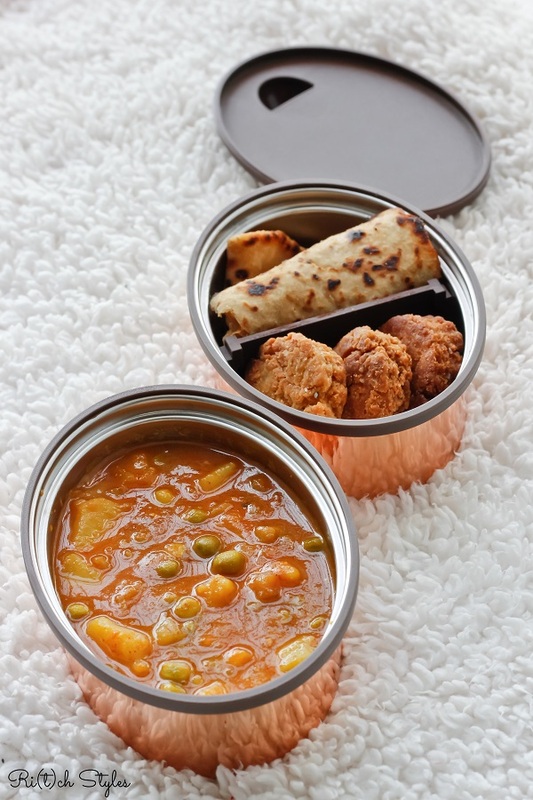 While the cost is a little on the pricier side, it is worth every penny because you get to feed your loved ones with a hot and healthy home cooked meal.